Thank you for your welcome, and thank you, Brookings Institution, for hosting us! The work that you do on advancing our understanding of the world, and recognizing the importance of international engagement, is of utmost importance. So thank you also for everything that you are doing to deepen Trans-Atlantic thinking. 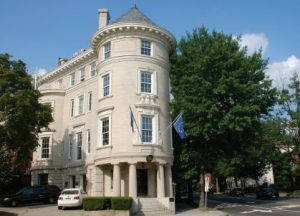 For 20 years, since I was the advisor to Estonian prime minister on economic affairs, I have been to Washington on occasion, for IMF annual meets and various other reasons. I never pass the opportunity to visit the Mall. The Jefferson Memorial, where I again and again re-read the excerpts from the American Declaration of Independence that are displayed on its walls. The Roosevelt memorial, with apt, yet somehow painful descriptions on how we as societies are with hope that we can make ourselves better, if we put aside fear. And now, as a late addition, the powerful redeclaration of human rights – the Martin Luther King memorial. I remember a warm autumn day 19 years ago when I walked on the Mall and again read the thoughts displayed on the walls of these monuments. Then I told myself – this is the place you have to always remember, should life bring you among the decision makers in politics. I grew up in occupied Estonia, and instinctively knew that the freedoms we gained the day the Soviet rule broke down were the biggest and fastest change in the quality of my life and the lives of my compatriots. Bigger than all the following economic growth, which of course, could only happen when people were free. This is where I think that some countries go wrong – they think they can have economic growth without freedom, but actually they can’t. But I had not read into it more than you could find in the books of some Soviet dissidents, George Orwell or, for that matter, Estonian expats journals to which I had had access at the late years of the Soviet Rule. The Mall was my crash course and is my reference point till this day. Each year, on 24th of February, we, Estonians, gather at the dawn, in the cold, sometimes bitterly so, winter morning, and read out loud our Independence declaration, during the flag hoisting ceremony. The values and principles, upon which our declaration of independence is based, are the exact same values and principles, upon which the American Declaration of Independence stands. Democracy, freedom, and the rule of law are enshrined in our declaration, as they are in yours. We too, believe that “all men are created equal, and that they are endowed with certain inalienable rights”. And our declaration´s authors – much like Jefferson – also felt “hostility against every form of tyranny over the mind of man”. Yes, there are a million little differences between our nations; between Europe and the United States; and between the nations of the Free World in general. In some issues, we might even have big differences of opinion. And yet – even with all those differences – what makes all of us historically unique and at the same time identical to each other, are the values and principles upon which our very societies are built. The same values and principles that Thomas Jefferson wrote about. And the same values and principles, about which the authors of our Manifesto to the Peoples of Estonia wrote. Values and principles that have their roots in relatively recent – Enlightenment-era – European philosophical thought. The similarities between our nations do not end there. Just like the Americans, we too had to fight for our freedom, as the very next day after the first public reading of our declaration of independence, foreign armies invaded, and we had to defend ourselves. Defend the idea of free, democratic Estonia, like many others by that time. Remember, the Armistice had just been signed in Paris, but for us the War of Independence had just started. And just like during the American Revolutionary war, we too received help from our international friends. Our British friends came to Estonia and Latvia and they overstepped their rules of engagement – it was possible back then because British admirals were much more independent. They even took off the cannons from their ships to arm our armored trains. And they shelled the Russian positions from the sea because ground activities were forbidden. This help came from people who spoke different languages, had different temperaments and customs. And yet, who believed in these same enlightened principles upon which we were trying to build our freedom. Two years later, by 1920, we had won. Darkness retreated, and a democratic Estonia was free to stand on its own, among the family of free nations. Those were idealistic times. Four years after the publishing of Woodrow Wilson´s Fourteen Points, Estonia and the United States established diplomatic relations. We joined the League of Nations, and like others back then, hoped and believed that war in Europe and elsewhere was a thing of the past. Peace was supposed to last forever. Yet it did not. And we need to keep this very much in mind during the current historic times as well. There were many reasons why this all happened. We had allowed democracy to retreat, and we failed to stand by each other when it was retreating. By the time the tyrants attacked, the free world had become small, and divided; no longer viewed as a group of nations based on the same fundamental values, but just as a group of nations – each – alone. We did not have such international organizations and collective agreements like the UN and NATO that would have guaranteed the general architecture of security and international relations as we have today. Estonia in 1939 found itself to be alone, without allies because the structures and architecture of those times did not provide the security and international support as they do today. But of course, you can’t blame outsiders for your loss of independence. We failed a second test, too. This concerned our own willingness to stand up for what is right; and to do so at the right time, before it was too late. These principles and values upon which our societies stand are noble, but without a willingness to take a stand for it, even the most virtuous of ideas is just an idea. It becomes reality, and stays alive, only when accompanied by a readiness to act. We did not act; we did not fight back when the Russian army bases came. We thought we could save some lives. We did not have a democratic parliament who could have debated on the issue – it was the President’s and a narrow circle’s decision not to fight back. And when we had regained our independence then this led to the decision of the first Estonian army chief General Einseln – Colonel Einseln to the Americans – that whatever happens, this time we will fight back. And this shaped the Estonian legal base where, quite unusually, we have a clause that if the Parliament, President or the Minister of Defense fails to take the decision, then in extreme cases every Colonel or General who finds himself under direct military attack, can himself take the decision to fight back. It is a huge responsibility, but it has its roots in not fighting back in 1939. These lessons – standing together with the rest of the democratic world and being prepared to act in defense of democracy – continue to be relevant today and are enshrined in our legal texts. 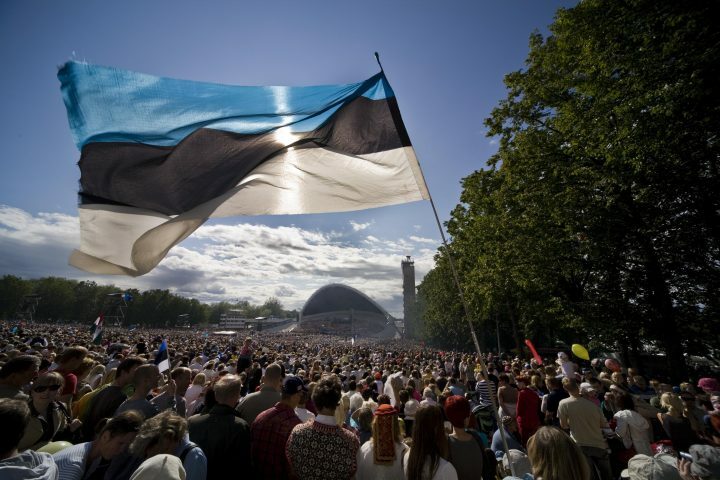 Estonia´s story of rapid development since the regaining of our independence is nothing short of a miracle. In 1991, Soviet troops were still stationed in our country, and they did not want to leave, despite some brave American Senators like John McCain going straight to Soviet Paldiski military base to tell a General that you have to get out of here. The economy was in ruins. There were no democratic institutions, and we were not part of any international ones. We were back to square one like in 1918. We wanted to get back behind the tables, but not to be on the menu. In 30 years, we have become one of the most internationally engaged nations in Europe. We joined NATO and the European Union, the OSCE and the OECD. We became members of the Eurozone and the Schengen area. We joined every single institution that we could; every single organization, that brings the Western world together. Make no mistake – we would have been among the founding members of all of these clubs – if only we could. 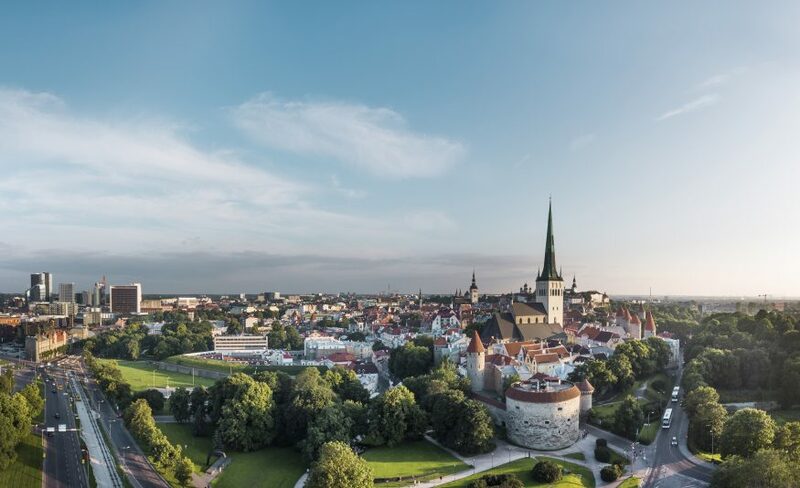 Today, it is hard to find an international ranking where Estonia would not rank among the developed nations of the world. Our economy has risen from ashes. In 25 years our national wealth has increased six times – that is twice the speed of the world average. But as Margaret Thatcher once paraphrased Ronald Reagan in this very town – you ain´t seen nothing yet! Innovation is key to Estonia´s success, and it is digital innovation that we are perhaps best known for in the world today. We have, indeed, become the world´s first digital nation. A nation where a citizen mainly interacts with the government online – with the exception that you can’t get married online, you still have to show up for your own marriage. Estonians can use our digital ID to sign and time stamp documents, including private contracts, apply for different public services, pay fines and taxes on-line, query the registries, and simply send encrypted e-mails. We vote online since 2005. In many respects, our digital miracle had a lot to do with the European Union. No, the EU did not help us develop it, but also it did not, despite the common thinking of those skeptical of the EU, force us into a regulatory straightjacket stifling all innovation and free trade. Quite the contrary. You know, it is much easier to dream up a digital state or an Estonian Genome foundation to develop a genome-data-based preventive medical model, if someone else is taking care of your basic investment needs, supports renovation of schools, hospitals, roads. Membership in the EU has truly been beneficial for us – manifested by the fact that our support for EU membership is among the highest in Europe, at 74 percent, while we were the most skeptical of those who joined in 2004. But now people have realized that EU membership has increased, not decreased, our sovereignty. It continues to enhance our voice in Europe and in the world, as we have one voice out of 28 in Brussels. Yet only 1 million of EU 400 million strong population. I wish I could end my speech here – with a fairy-tale-like happy ending of a small democracy that rose from the ashes, and became the beacon of digital innovation and preventive medicine. But – I cannot. Because history is still not over and it is about to test us – all of us – again. I know Americans sometimes like to refer to democracy as an experiment. But this democratic experiment of ours is not the only experiment human history knows. There have been and there are others, fundamentally different ones. Tyranny, authoritarianism and aggression are again on the march. War has been back in Europe for the last 11 years. In Georgia, the evil line of occupation gradually calcifies, with Russia developing the border infrastructure. Innocent people are dying through artillery shelling in Eastern Ukraine, but also through chemical weapon-grade poison attacks on the streets of a small English town. There was one comment by NATO Secretary General Jens Stoltenberg calling it a chemical attack in the middle of Europe, but all-in-all we’re getting used to it. On a daily basis, we hear news of democracies being manipulated across the globe. The old tricks of the KGB are back with a vengeance, and with clear determination to divide the Western world, break up our alliances, confuse us into paralysis. Behind these hybrid threats, is conventional and nuclear power that backs it up. While geopolitical changes, the emergence of new great powers, and the revanchism of the old ones are testing the stability of the international order. Fast developments in technology are changing the way our economies function, the way we get our news, and even the way we communicate with each other, in process creating tensions that put our domestic institutions under stress. Support for extremism is growing because our institutions are busy with coping with these changes. We´ve seen all this before, and none of it is good. So what is to be done? First, we need to recognize the challenges that confront us. We need to realize that these are not challenges for Estonia, for Europe, or for the United States. These are challenges for the free world, for the values and principles that the Jefferson Memorial symbolizes. In order to properly address these challenges, we must also talk about them honestly. Aggression should be called aggression, war is war, and occupation remains occupation. It is in the interest of those who oppose us that we fail to recognize these old categories just because they play out in different, less clear and more hybrid, or tech rich, environments. We must also learn from our past, so that we would not repeat the mistakes of the 20th Century. We must stay united in defense of the values that we hold dear, and we must be ready to act, to stand up for what is right, and demonstrate resolve. This is not an idealist argument; it is based on the realities of the world today. No one democracy is strong enough to face down the challenges of the 21st Century alone. A freedom in retreat somewhere would make freedom less secure everywhere. And if the world is re-shaped by those whose power is not kept in check by democratic institutions, then freedom will not be safe anywhere, anymore. That is what keeps motivating transatlantic unity across our Euro-Atlantic area. We need to defend, support and help each other. It is about the defense of our own way of life. The cornerstone of transatlantic security is NATO. And our commitment to NATO, and its collective defense clause, remains iron-clad. These words must be repeated often. Someone once compared this statement to the way we tell our significant others that we love them: say it every day, and if you for some reason stop one day, then you are certain to create misunderstandings. But this comparison is not fully accurate. We do not repeat our iron-clad commitment to Article 5 in order to convince our Allies. We repeat it to convince others, so that they would not miscalculate. Words matter, but so do deeds: our military posture, our forces´ readiness, their capabilities and activities are all at least as important as the words that we use. After several decades of concentrating elsewhere, Russian aggression in Ukraine forced NATO to re-focus on its core task of collective defense. After Crimea, Allies responded promptly. As Russia was moving into Eastern Ukraine, the United States deployed fighter aircraft to Estonia, in order to complement the already-functioning Baltic Air Policing operation from Lithuania, and infantry companies into each of the Baltic States. After the NATO Warsaw Summit, battalion-sized battle groups were created and fielded to the Baltic States and Poland. These decisions were not meant to alter the military balance on NATO´s borders; and they did not. The purpose of NATO´s enhanced forward presence is to convey a message, that there is no way one could conduct military aggression against just one Ally, hence making collective defense more credible, and making the Alliance more cohesive. I want to thank all 19 Allies who contribute to enhanced forward presence. In Estonia´s case, mainly the United Kingdom, but also Denmark, France, Belgium, even Iceland with one PR-specialist. We appreciate American contributions to enhanced forward presence in Poland, but would love to again see more US direct involvement in the Baltics as well. US boots on the ground have always been and will remain welcome, because the credibility of Europe´s defense rests on the involvement of the United States, and hence for maximum credibility, forward presence in the Baltics could use more American involvement as well. And, of course, we will need to continue working together on the appropriate air and naval posture, for the current solution is primarily land-based. The allies in the Baltics are already well integrated into our own infantry brigades, ready to fight tonight, but a lot remains to be done on creating a credible follow-on plan. NATO is working on it, but it is not ready yet. If NATO’s unity should one day be tested then we must act quickly and decisively. That requires increased readiness, better command and control, planning and exercising, new infrastructure and frankly – more money. All of these questions have been at the center of NATO´s recent discussions, and all of them require not just American involvement, but American leadership. We are making progress on all of these issues, including burden-sharing. Estonia has long spent the two percent of our GDP on defense, because this is what the meaning of Article 3 of the Treaty of NATO is. Article 3 comes before Article 5 – you are responsible to defend this part of NATOs territory, which is your state. We are glad to note that for the past several years, and in large part thanks to President Trump´s strong messages, overall European defense expenditures have been increasing as well. The rise will reach 100 billion by 2020. We must also get better at incorporating modern technology in our defense. China, which, contrary to us, has control over new technology developments, is doing it. We must adapt to a situation where tech drive in the free world is no more a state driven process, and learn to incorporate the advances made in the private sector for civil use into military grade technology. I think this is new to us – previously most technological advances where developed by state actors and migrated from military to civil use. Autonomous systems, quantum computing, artificial intelligence – these are some of the soon-to-be facts of life. No single country alone can manage this challenge and rising R&D costs, as some tech-companies are already bigger and richer than many nation states. In the interest of strengthening our defense industries, helping European nations spend more and better, we have initiated PESCO. It was formalized during the Estonian EU Council Presidency. In this framework, EU budget is investing over 6 billion into military mobility measures across Europe. I hope that this common effort will gradually lead us into redistributing defense resources across continent so that smaller economies at the frontline gain in resources for fulfilling their defense needs. These are practical steps, not empty words and catchy headlines like strategic autonomy or European Army. Indeed, I believe these practical steps can well replace these empty words. Similar to the economic and social cohesion in EU, where Member States establish a need for common action, agree on the resources and then leave it to any individual Member States to carry out the necessary actions independently. This is what EU is best at doing, at it would be complimentary to NATO. To calm some nerves on this side of the Atlantic, may I remind you that EU rural support does not force any country to buy French or German tractors. EU has created, for many purposes, a secure framework of protection of the free market in public procurements, while supporting the continent`s development through the budget financed more by net payer nations. EU has the rulebook in place, which does not allow the donor countries to influence the decisions in recipient ones. EU redistribution does not have strings attached. Calling for more defense in the European Union must complement NATO and US action in Europe. It must not mean shutting American defense industry away from Europe. On the contrary – I believe that as the defense market often tends to be an oligopolistic one, we need as much openness and honest competition as possible. EDF can be used to deepen the markets, if we demand more interoperability, rather than more unity in weapons systems. The role of the United States will remain critical for European defense, but this is not a one-way street, as I am equally convinced, that a Europe whole and free, and in alignment with America, will remain critical for the security of the United States. Europe has been getting a lot of bad press lately, but let us for once also mention this known, but often-neglected fact: on 9/11, all of Europe stood with the United States, and deployed thousands of soldiers to fight alongside their American brothers-in-arms, just like Europeans have done before and after. Estonia has also done its bit – on per capita figures both our participation and also losses of the lives of our soldiers were among the highest in both Iraq and Afghanistan. These European contributions to transatlantic security have been far bigger, and far more significant than just symbolic. Every time I visit the military base in Paldiski to send off troops to operations there is a monument for the soldiers who were killed in Afghanistan, and I go there and read every name on the monument. Allow me to, in conclusion, briefly mention two other areas where we must stand together. Aggression should be called aggression, but that is just the first step. Something needs to be done about it – a message must be sent, that un-acceptable behavior is – well – unacceptable. That is why we – both the EU and the US – should maintain our sanctions on Russia, for as long as it continues its unacceptable behavior. Transatlantic unity on sanctions continues to be important, and we must be ready to flexibly amend the sanctions regime, if conditions on the ground change. And secondly, we must help the victims of aggression. Ukraine, Georgia and all the other Eastern Partnership nations need our support, solidarity and assistance. But if necessary, they also need to be reminded that it’s not only the Western institutions that want them to concur with democratic values – free elections, rule of law, fight against corruption – it is something they themselves need the most, for their nations to live free and to prosper. The challenges that confront us might grow bigger before they start becoming smaller. They will test our resolve, and capabilities. There will be difficult days and frustrations. But for as long as we remember to stand together and always defend our way of life, we will prevail. There is nothing more important than our values – in our thinking, in the texts we write, in our speeches, in the actions we take as politicians.